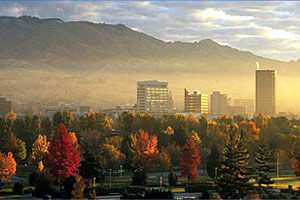 We Serve Idaho is a locally operated company based in Boise, Idaho. We provide all of Idaho and its surrounding states with legal service of process at an affordable flat rate. We strive for quality of services provided. Our goal is to do a superior job of following through and ensuring we deliver your documents in a timely manner. We have built our business solely on referrals by delivering excellent service with unbelievable efficiency. Using We Serve Idaho allows your staff to focus on their jobs at hand while we handle all of your legal support services. We take pride in completing the work we’re assigned to do, the way it should be done, the first time you ask. In addition, we process our reporting and accounting functions in-house and we can tell you exactly how, where, and for whom each service is being performed, and its cost. We Serve Idaho offers timely, cost-effective service of process with an extensive network of employees and strategic partners nationwide. Most importantly, We Serve Idaho is a trusted, professional organization. We take our careers seriously and your projects are our first priority.